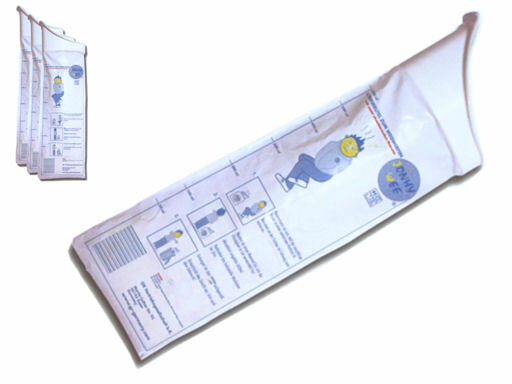 The essential disposable urinal kit you won’t want to travel without! The singularity is that polymer crystal contained in the obscure plastic bag, transforms liquid immediately into gel. Thus the liquid is bound, bacteria formation prevented and also the smell avoided. This gel is locked in a cloth bag which ca be put in waste quickly and easy way. Jonhy Wee is easy-to-use and fits into hip pocket, hadbag, first aid kit, cars, camping accessories, airplanes and other vehicles. Endless use, no time limitation.